An R/S or rock slam is defined as the crazy, irregular, left-right slashing motion of the needle on the E-Meter dial. R/Ses repeat left and right slashes unevenly and savagely, faster than the eye easily follows. The needle is frantic. The width of an R/S depends largely on sensitivity setting. It goes from one-fourth inch to whole dial. But it slams back and forth. It is actually quite startling to see. IT IS VERY DIFFERENT FROM OTHER METER PHENOMENA. In a normal group of 400, the actual percentage of R/Sers is low. It’s about 8 in 400, or 2-2 ½ percent. Those figures should seem familiar. They are the same percentage for SPs. And that gives you a clue to the identification of an R/Ser. 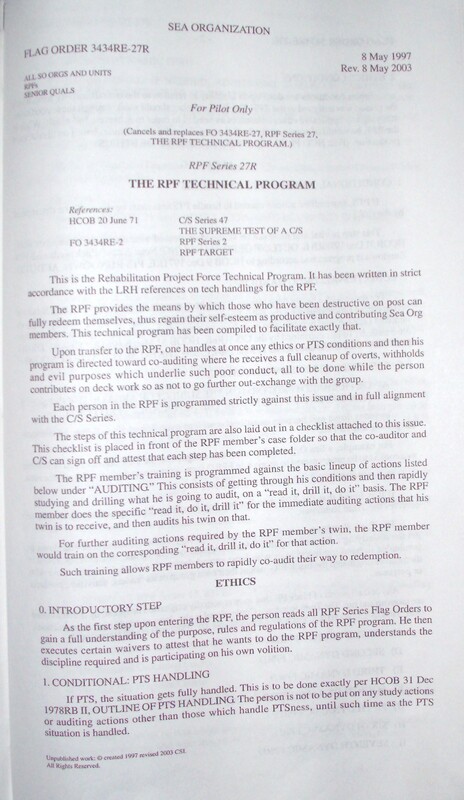 Where requirements for Scientology or SO orgs have been established for R/Ses, they apply to the 2-2 ½ percent of real R/Sers as these are high risks for staff purposes. These people can of course be salvaged as pcs using Expanded Dianetics. Letting them on staff could be disasterous, however. 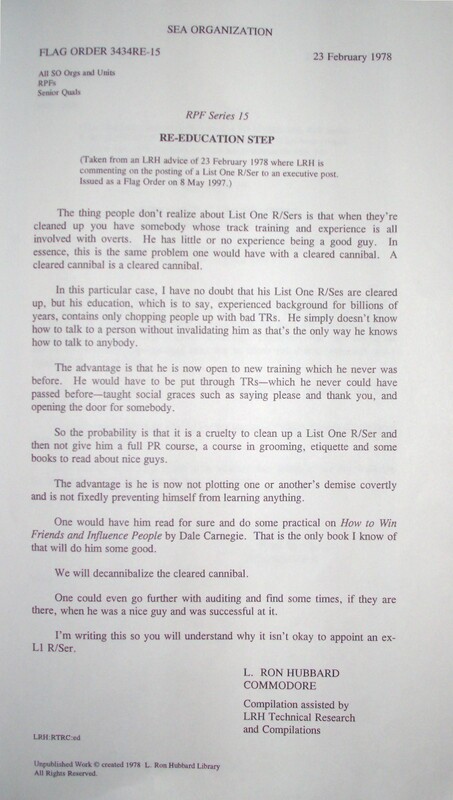 A handled R/Ser can be expected to eventually wind up in the same category as a cleared cannibal. His experiential track is too educated in evil and too uneducated in anything else. So even when cleaned up will need a lot of living. R/Sers are also very expensive people to keep around. They waste the available resources and produce overt products. They cost a fortune in waste, repairs, lost business. They also cost a heartbreaking number of damaged people. There are, for our purposes, two kinds of R/Sers. (a) Those who R/S on subjects not connected with Scientology and (b) those who R/S on subjects connected to Scientology. The latter is a “List One R/Ser” and it is of great importance to us that they be located and moved off lines when they are part of staffs as their intent is solely to destroy us whatever else they say: Their long-run actions will prove it. Where there is any doubt as to the validity of a List One R/S, a verification should be done. The procedure is to vigorously sec check the pc on the subject of the reported List One R/S. This Sec Check must be done by an auditor who knows R/Ses and can make lists read and pull W/Hs connected with R/S. Where a pc R/Ses, he will have evil purposes and be on a succumb as a result. R/Ses indicate an area of psychosis which will ruin the pc’s life if allowed to go unhandled. Hubbard, L. R. (1974, 1 November). Rock Slams and Rock Slammers (Hubbard Communications Office Bulletin). 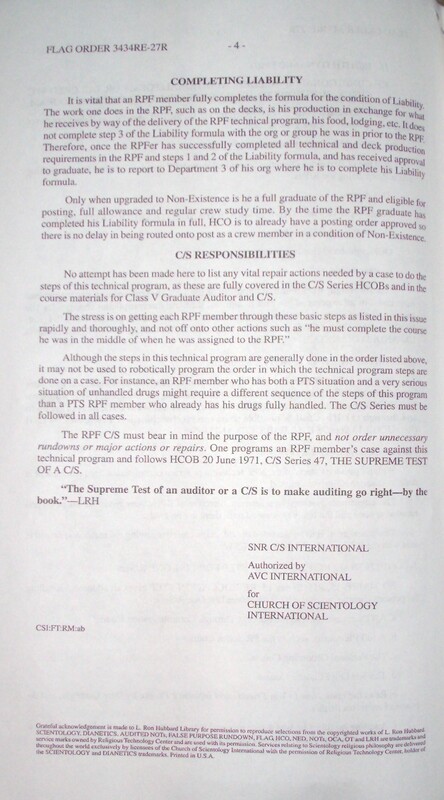 The Technical Bulletins of Dianetics and Scientology (1991 ed., Vol. X, pp. 656-659). Los Angeles: Bridge Publications, Inc. This is the List One of Routine 2-12. You can lengthen but do not shorten this list for Step 1 of R2-12. This list is used over and over on all 12 Steps until no reaction of any kind can be gotten off of it. If an item on it reads sporadically, even, use it on the 12 Steps. The Scientology List is called LIST ONE. Others, 1A, 1B, are called by their designations. 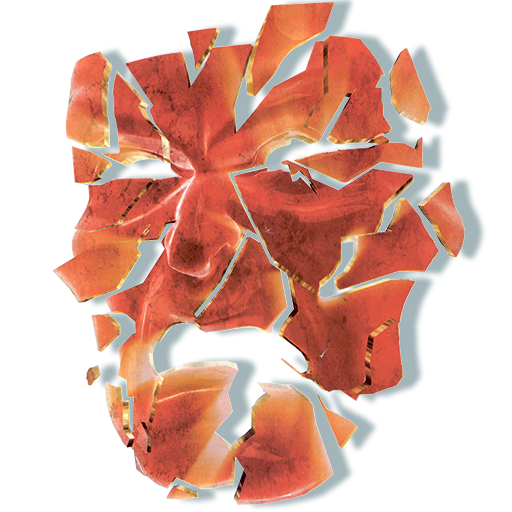 All lists, including the Scientology List, are referred to in general as “A first list”, or “The first list”. Note: Fill in all blanks with pc’s help. Note: The above when found can be terms or oppterms. It doesn’t matter which. All that matters is meter reaction unless an RI is found on this list. 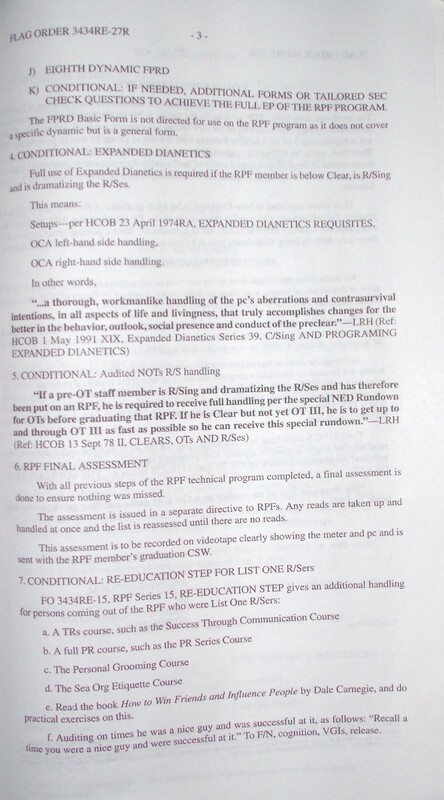 If so identify for Term or Oppterm as in Step 7 and continue R2-12. Hubbard, L. R. (1962, 24 November). 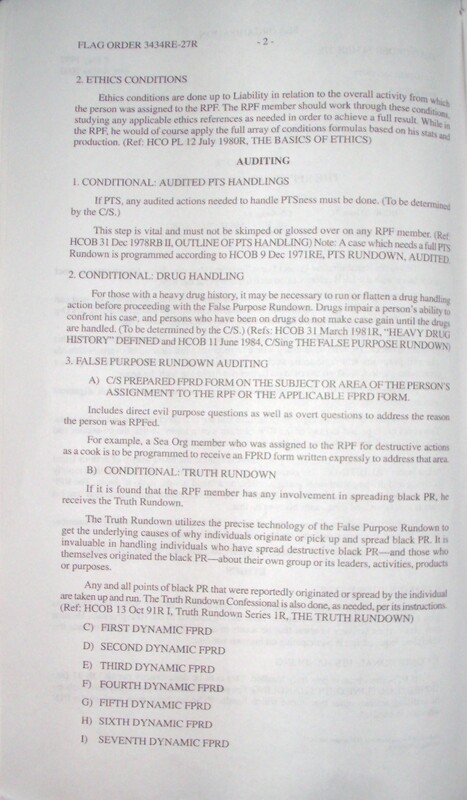 Routine 2-12 List One — The Scientology List (Hubbard Communications Office Bulletin). The Technical Bulletins of Dianetics and Scientology (1991 ed., Vol. VI, pp. 679-681). Los Angeles: Bridge Publications, Inc.